You asked us, "Why are all planets round?" We all know what gravity is, right? well, the bigger an object is, the stronger its gravitational field. 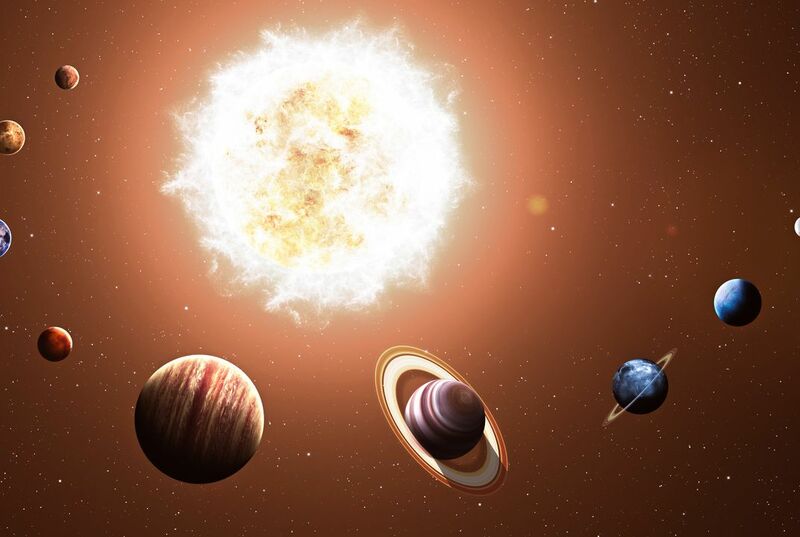 Planets are pretty big, so gravity acts on them as a strong force, pulling everything together towards their center and the resulting shape is a sphere. Now, planets aren't actually perfectly round - they've got a bit of what you might call a spare tire. You see, planets spin around their axes and the force generated by the spinning works against gravity and causes a planet to bulge out at its equator. Why aren't planets perfectly round? Planets aren't perfectly round, because of the spinning it does on their axes. The force that is generated by the spinning works against the gravity, and ends up making the planet bulge on its equator. "You see, planets spin around their axes and the force generated by the spinning works against gravity and causes a planet to bulge out at its equator." I found this articles surprising to know that gravity can be used to make an object a sphere-like shape, but forces can also use gravity to do the opposite effect. Planets aren't round because in paragraph five it said it has what you call a spare tire. But the real reason is because when the planets spin on their axes it creates a force that make the planets equator bulge up. I thought this article was interesting because it is amazing that only from the force of the planets spinning it makes the shape less round. Planets aren't perfectly round because "planets spin around their axes and the force generated by the spinning works against gravity and causes a planet to bulge out at its equator." I found it kind of weird how basically all of our lives we've known that all planets were round and that they didn't actually explain to us that planets aren't perfectly round. I chose this article because I have actually been wondering sometimes if all the planets were actually all round. Planets are not perfectly round because their spinning force works against gravity to cause the planet to bulge out at its equator and not be perfectly round. This is shown by the article by,"Planets spin around their axes and the force generated by the spinning works against gravity and causes a planet to bulge out at its equator." 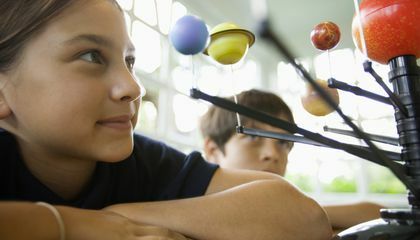 This article is interesting to me because I never knew that gravity was the reason that planets are in a sphere shape. I also did not know that there was a bulge around the equators of planets because of their spin force going against gravity. Planets are not perfectly round because of gravity. Paragraph 8 states spinning works against gravity and makes them bulge out at the equator. This article was interesting and helps us know more about space. Planets aren't perfectly round because they spin on their axes which causes a bulge at the equator. Gravity is what makes the planets spin on their axes. The article states that "Planets are pretty big, so gravity acts on them as a strong force, pulling everything together towards their center." I thought this article was interesting because I found out how planets are shaped. Planets aren't perfectly round because gravity is pushing against the axis that is forcing the planet topush outward as it spins. Planets aren't perfectly round because according to the article, the force generated by the spinning works against gravity. This causes a planet to bulge out at its equator. I learned that planets are round because of gravity. I was also surprised that planets aren't entirely round. I also learned that the bigger the planet is, the more gravitational pull it has. Planets are not perfectly round because when they are spinning, it goes against gravity and makes a planet bulge out in the equator a little bit. This is shown in the seventh paragraph, where it says, "You see, planets spin around their axes and the force generated by the spinning works against gravity and causes a planet to bulge out at its equator." I found this article interesting because I thought that all planets were all perfectly round. This article told me otherwise. Planets aren't perfectly round because of the gravitational force and the planets are spinning. The gravity pulls everything to the center of the planet but the spinning of the planet causes it to work against gravity and flattening out a little bit. I was surprised to find out that the planet is not a perfect sphere.